Butler looks to architecture as a point of departure in his sculptures, evoking both ends of the architectural spectrum: the idealized, ornate edifices of temples, churches and shrines and the more rudimentary and unrefined structures, such as mud huts, log cabins, and igloos. The latter manifests itself in the form of Butler working some of the pieces with hand tools as opposed to machine, where the finish is appropriately more crude. The directness and clarity that Butler aims for in his work is ever present. Following his credo that all things, under close enough observation, will reveal the complete story of their making, Butler teaches us something about looking. A 2003 graduate of the M.F.A. sculpture program at the School of the Art Institute of Chicago, Butler has exhibited extensively in the Chicago area. Butler has held residencies at Art Omi in Ghent New York, MacDowell Colony in Peterborough, New Hampshire, Dorland Mountain Arts Colony in Temecula, California, the Vermont Studio Center in Johnson, Vermont, and the Ucross Foundation in Clearmont, Wyoming. 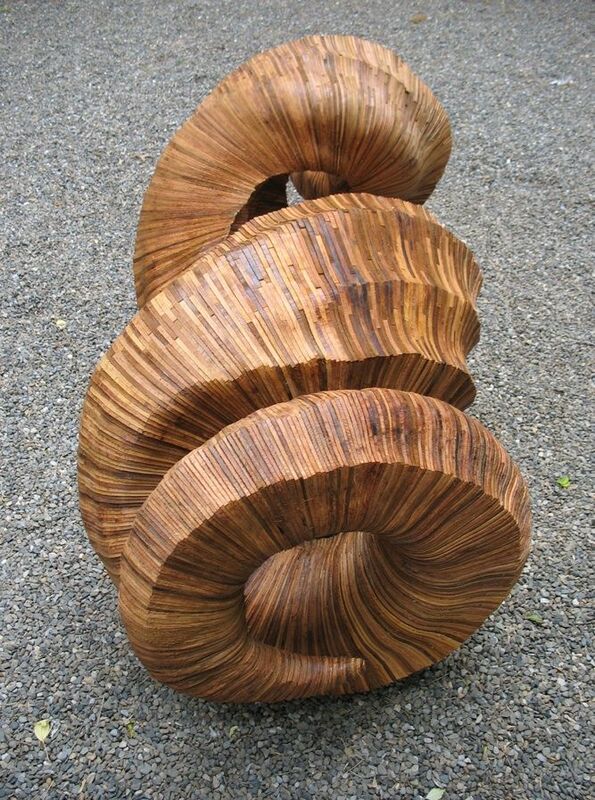 organic spiraling shapes made from straight pieces of raw wood. Beautiful. a sense of growing. David Melon Love Ben...I love Ben too! I want Ben to build me a house with a flowing worm fence out of funiture, because justice is not in the photo it is in the website. You "Beast"! great form language, nice flow to all your pieces. Thanks for sharing! I want this guy to build me a house! And all the furniture to go in it. 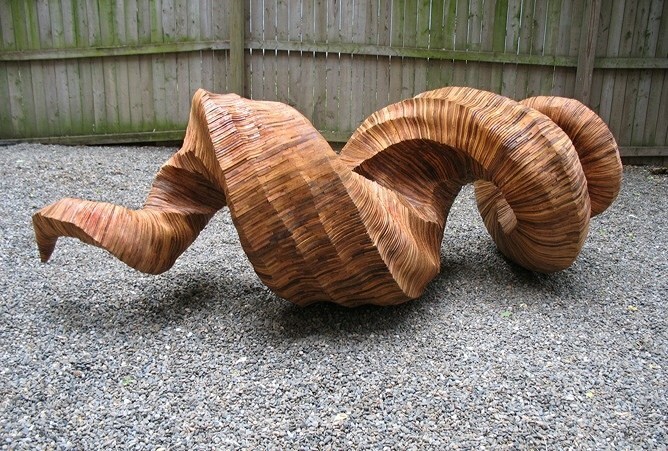 Echoing the previous comments, DO go to the artist's website-absolutely stunning sculptures. I want this guy to build me a fence. I have to agree with the above post -- the work on the artist's site is phenomenal. I don't know why they chose this as a representative sculpture -- this is more "one for the fans," with a kind of 1970s minimalist feeling -- the ones on the artist's site are so refined and complex. Hey is definitely an amazing artist. Visit the link to the website because like David said this picture doesn't do his work justice.